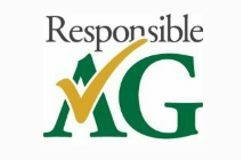 "The ResponsibleAg organization announced its “registered retail facilities is now in excess of 1,900,” and the executive director has seen a “marked uptick in participation,” which he expects to continue. “We are quickly becoming the ‘go to’ organization for retail compliance assistance tools and assessments,” said the executive director, Bill Qualls. The 1,900 facilities are receiving a comprehensive compliance evaluation, as well as access to comprehensive compliance resources. The registration fee for this service is $150, which was set at a level to encourage participation. 1. Avoid OSHA, DOT, DHS and EPA violations and fines. 3. Prepare for emergency response." Read more from Responsible Ag.